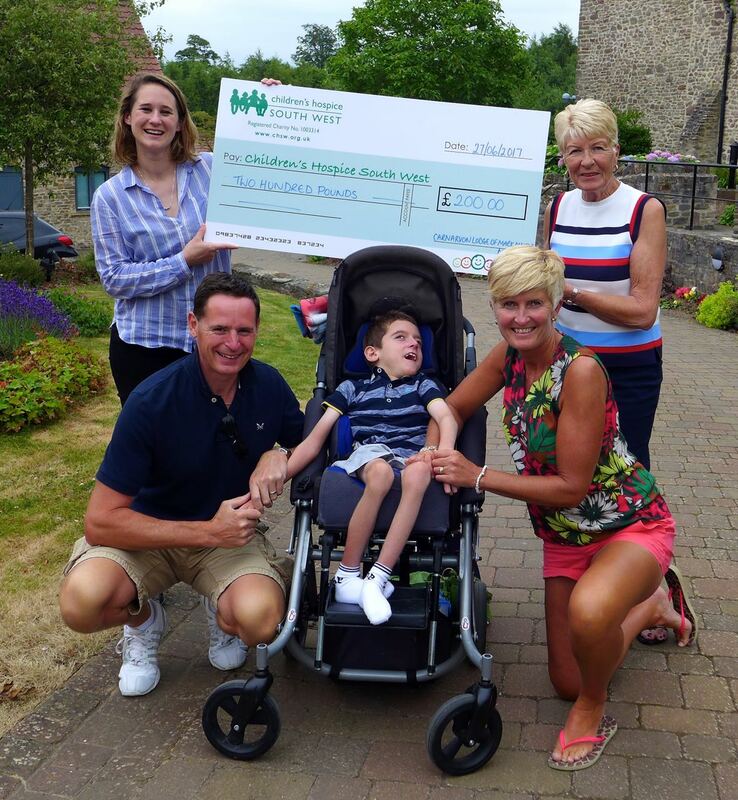 At the June meeting of Carnarvon Lodge members and guests gave a total of £200 to help the Children's Hospice South West at Charlton Farm near Wraxall. The Charity Steward of Carnarvon Lodge Ray Guthrie, who's grandson Sam has multiple disabilities and requires 24 hour care. Ten year old Sam goes with his mum and dad to the hospice four times a year for short respite breaks. Sam's dad, Steve Woodley says "Sam loves coming to the hospice, the staff here are great and the facilities are fantastic. Our visits give us time together knowing that Sam is being well cared for so we don't have to worry about popping out for a few hours. Although our breaks here are only short they make a real difference to Sam and our quality of life." In the photo on the left is Emily Mitchard, community fundraiser for CHSW receiving the Carnarvon cheque from Sam's grandma, Hazel Guthrie, Sam is in front with Mum and Dad.